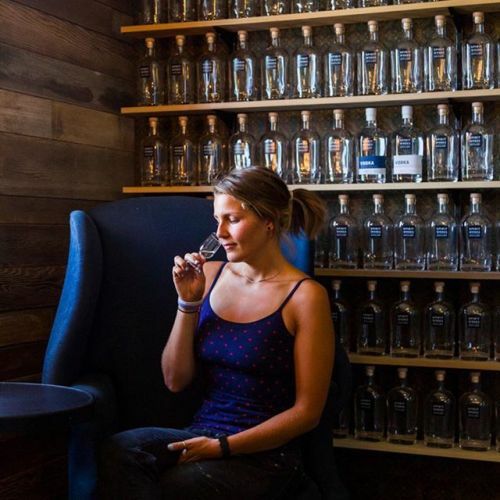 “Lauren Patz, an assistant distiller, enjoys a taste at @spiritworksdistillery in #Sebastopol, California. @spiritworksdistillery, which makes its grain-to-glass gin and whiskey on site in a handmade copper pot from Germany, is just one of the local businesses that comprise the artisan-friendly commercial district at @thebarlow707. The development, once a 12.5-acre industrial site largely devoted to apple processing, is now home to wineries, microbreweries and boutique producers of everything from soap to furniture. Photo by @jasonhenry.” By nytimes on Instagram.